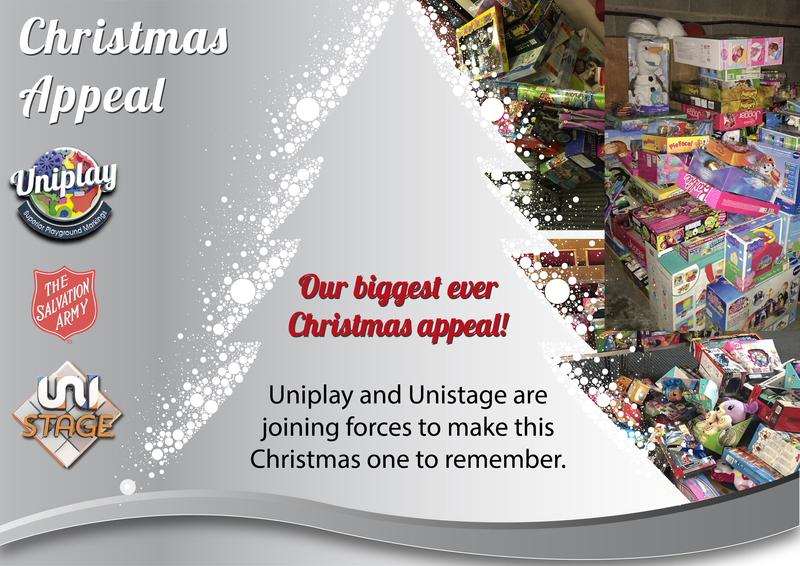 For the last 3 years our sister company Uni-Play have donated a percentage of one month’s sales to provide Christmas presents for children of families suffering hardship in our local area. In 3 years they’ve donated close to £20,000 worth of gifts, food hampers and monetary donations and with the help of Blackburn Salvation Army these donations have gone to helping some of the most needy families close to us. The Salvation Army do an amazing job taking referrals from schools, social services, health care professionals and various other organisations working closely with children and their families. When they heard about the work The Salvation Army in Blackburn do, especially at Christmas time, they were delighted to help. In the last 2 years they’ve extended their appeal and worked with a primary school in our local area who take referrals from Head Teachers in their cluster to assist their families in need. They provide very much needed food parcels donated by their school and community family, and in turn, Uni-Play have provided the children with Christmas gifts. They learn the age of age child and try to find gifts that we hope each particular child would love to receive. Last year they provided gifts for the children from 13 families all living within our area. This year our aim is to join forces and beat all previous years making make our haul a bumper load. We’re teaming up with Uni-Play and together our aim is to fill our largest delivery vehicle full of presents. We’re super excited to be able to help this year, because no child should be without a gift at Christmas.